1) Our SNC bus picks you up at your school approximately ten minutes after the last school bell and takes you directly to SNC. 2) The tutoring classes begin after a brief period of recreation. We have large classrooms and there are two time periods for our students to complete their homework and/or work in their curriculum workbooks. Students now also work on iPads and they earn “STEP Points” by being diligent in their work and behaving properly. 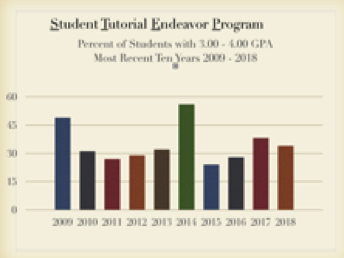 UC Berkeley tutors and our staff are divided equally in these class periods. 3) In 2011 we began a daily exercise regimen. This 20 - 30 minute workout continues today. One of our solutions to combat childhood obesity rates and to teach our students about healthy lifestyle choices. 4) Immediately after the mandatory exercise time everyone gets a snack from our student operated snack bar. Older students earn the right to work in the snack bar and their pay is the profit from the snack bar sales and coupons. 5) This is followed by a period of free time to play in our gym, enjoy one of our "SNC as a tech-startup" themed activity rooms; use our updated Weights & Exercise room; or be in on of our digital resource studios creating presentations, videos, music or educational podcasts. All rooms, and our gym, have access to high speed internet. 6) Our SNC bus takes you home in the early evening, unless you are in a mentoring peer group, then you get taken home later! SNC continues our proven STEP academic structures: tutoring classes, an academic reward and incentive point system, student contracts, grade-level curriculum work books and the use of iPads supplement their regular school studies, and newly remodeled rooms to simulate a "tech startup" atmosphere. • 100 % of our children and youth benefit from the academic support and the positive adult mentoring relationships formed with our staff and STEP tutors. • Student to Tutor ratio during our school year program: 7:1. • Our ULTIMATE GOAL for each of our students is to have at least a 3.00 GPA! • 79% of our young people improved their school report card GPA from their first report card to their final June 2018 report card. • 59% of our children and youth achieved a GPA of 3.00 or higher!